Warsaw was our final destination during our roadtrip through Poland. 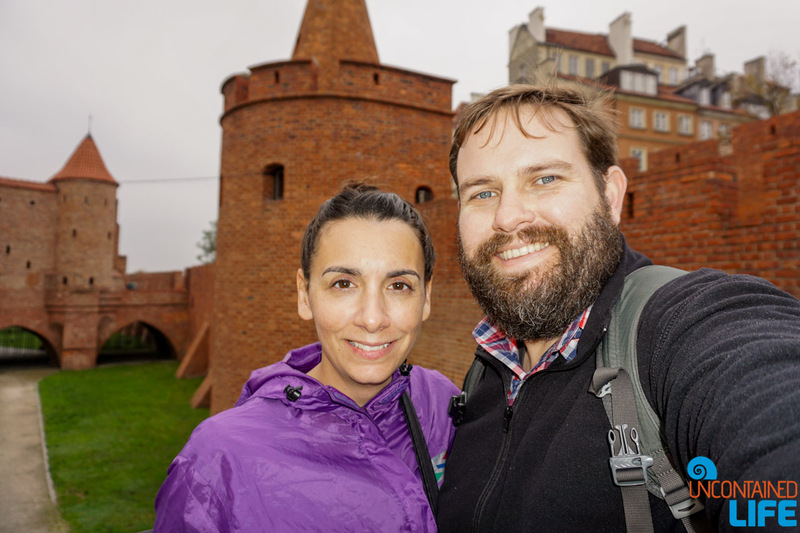 After a wacky car rental experience in Wroclaw (that seemed more like a covert spy operation than a simple business transaction), we then made our way east to Krakow to enjoy the Vistula River. Next, we followed a northbound route which ended in Poland’s capital and best known city, Warsaw. 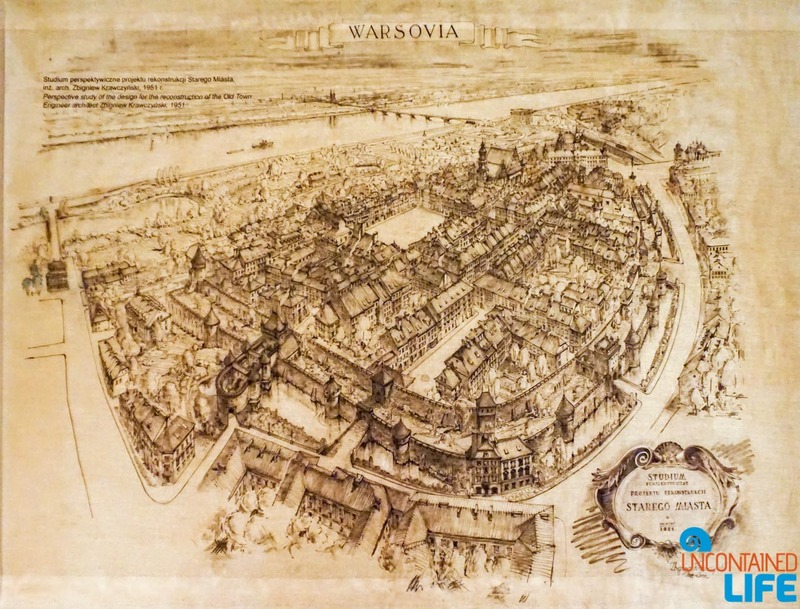 Warsaw, Poland suffered massive destruction during the siege of Warsaw in 1939, the 1943 Warsaw Ghetto Uprising (the largest Jewish revolt during WWII), and the 1944 Warsaw Uprising (led by the Polish resistance Home Army). 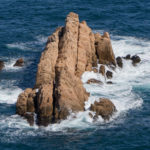 Most of the classic architecture and monuments damaged during World War II remained unrestored during the country’s Soviet period. 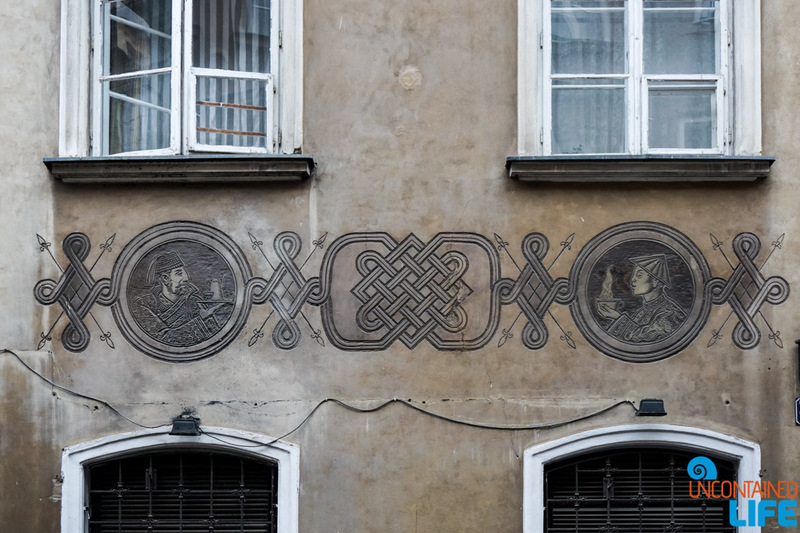 Fortunately, today, many of Warsaw’s most notable areas have been returned to their former glory, and there’s plenty for history and culture-lovers of all stripes to enjoy. 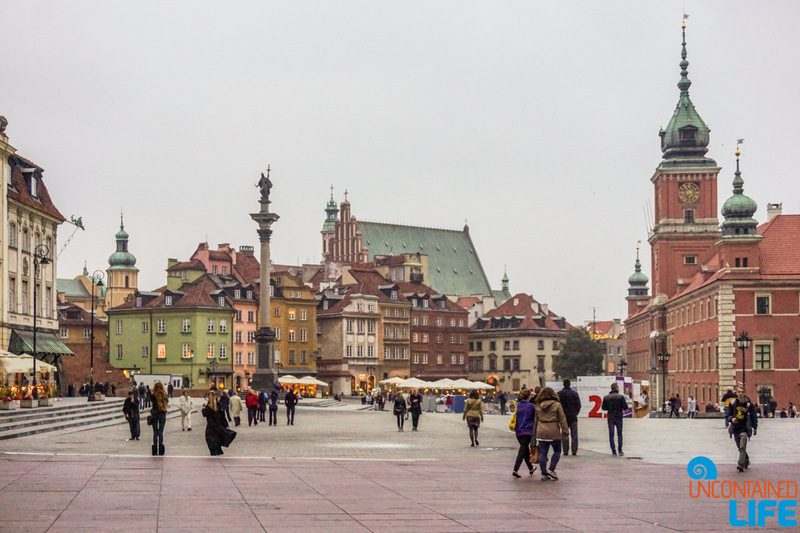 Warsaw, Poland can be cold, cloudy and wet in Autumn. 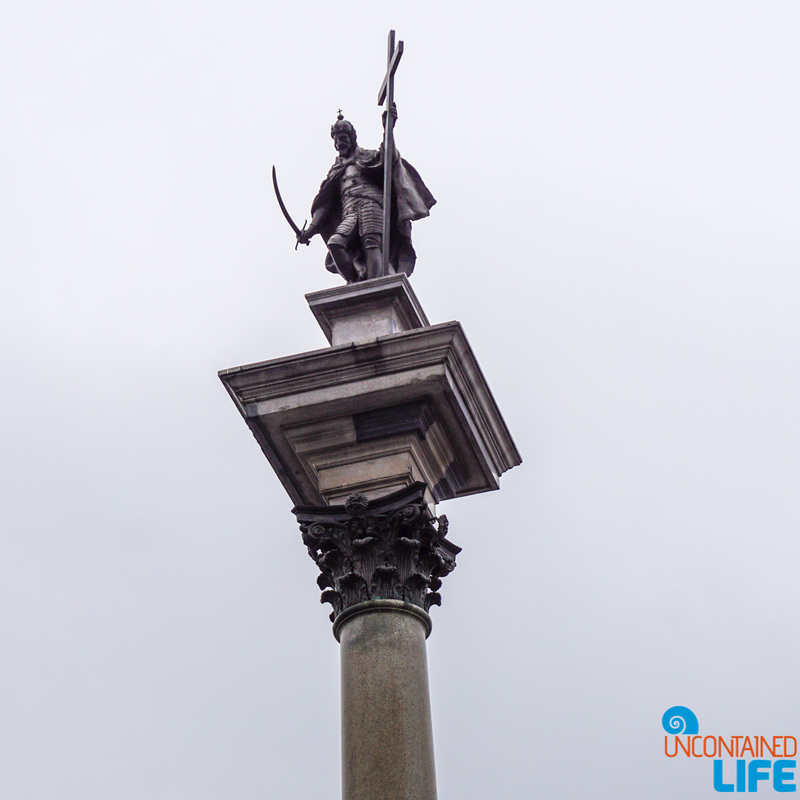 For us, that meant one thing…a chance to explore the city with fewer tourists! 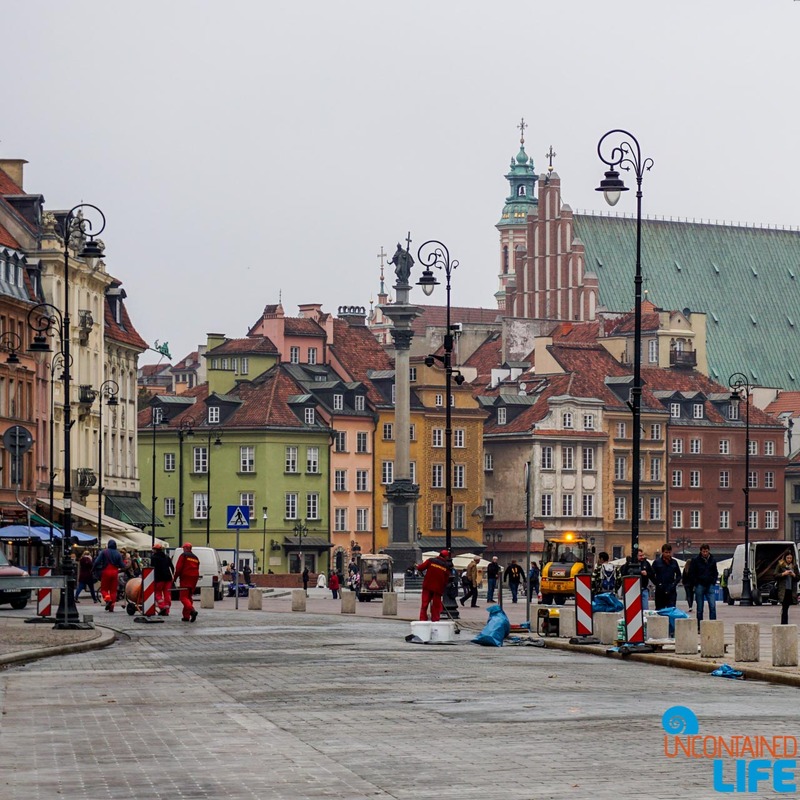 Our short time in Warsaw meant we could only see a small portion of what this fantastic city has to offer. 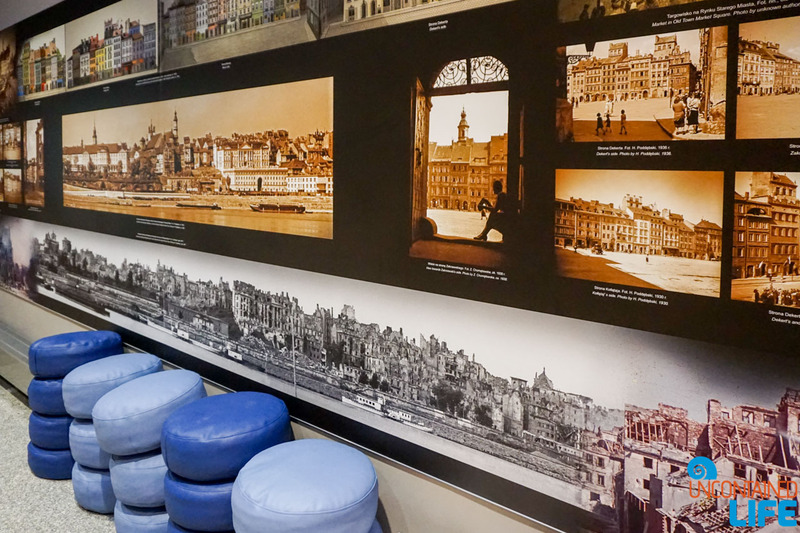 (We didn’t, for instance, have a chance to explore Warsaw’s Jewish history — something we plan to remedy on our next trip to Poland!) 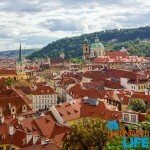 But, like our brief (but beauty-filled) time in Prague, we didn’t dwell on the fact that we couldn’t see and do everything. 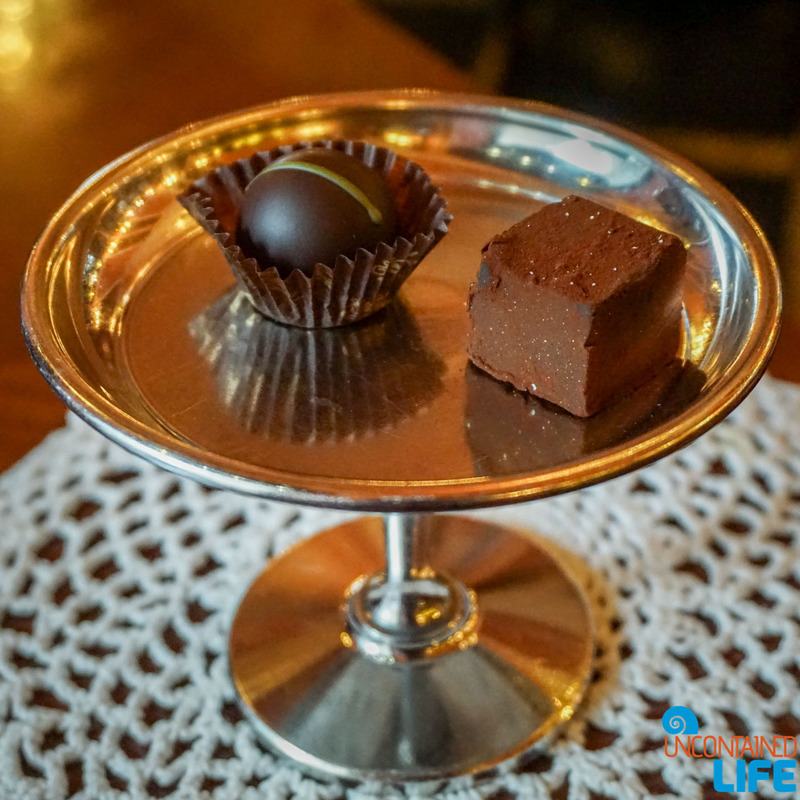 Instead, we focused on savoring the experience. 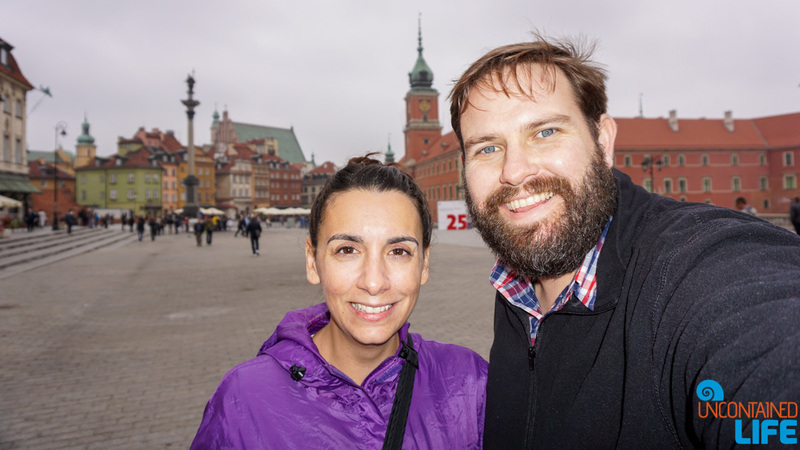 So what were our favorite things to do in Warsaw? Glad you asked! Build in the mid-1950’s by architect Lev Rudnev as a symbol of Soviet power during the USSR’s control of Warsaw, the Palace of Culture and Science was left uninhabited for many years. Today, however, this massive structure (rising 758 feet) plays host to a wide variety of commercial, educational, and cultural entities. 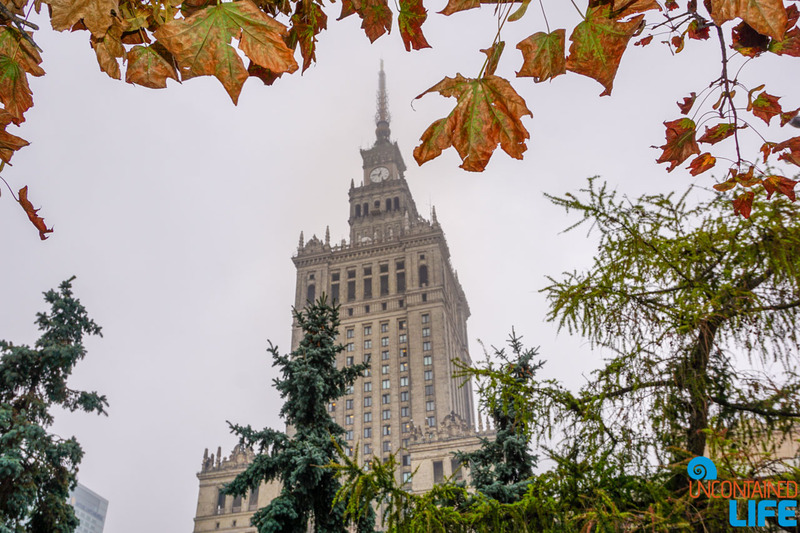 Visitors looking for things to do in Warsaw can attend a movie at the multiplex, visit the Museum of Evolution and Museum of Technology, and — most popular for visitors — get epic views of the city skyline from the Palace’s 30th floor viewing terrace. Unfortunately on the day Justin and I visited the Palace, low clouds hid said view, but we did get to check out the Palace’s Soviet-chic lobby, and get our very own Alice in Wonderland-style experience thanks to a public art project. 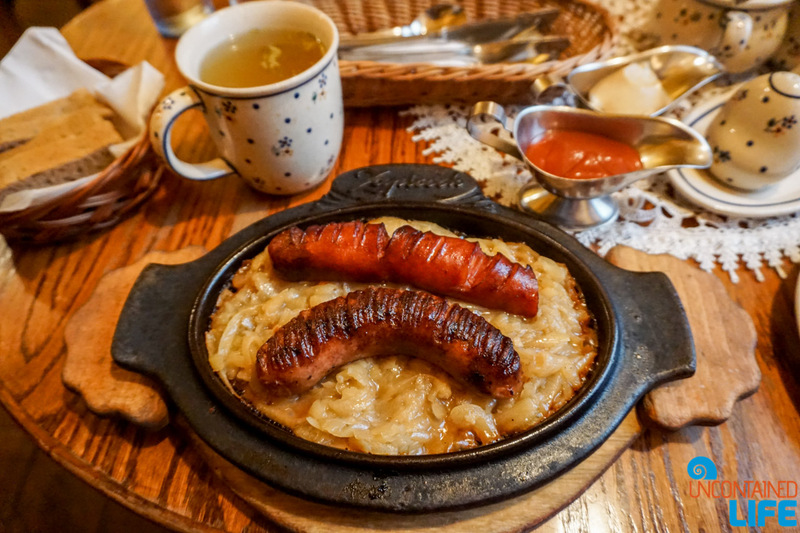 Warsaw’s gastronomic scene has grown by leaps and bounds in recent years. 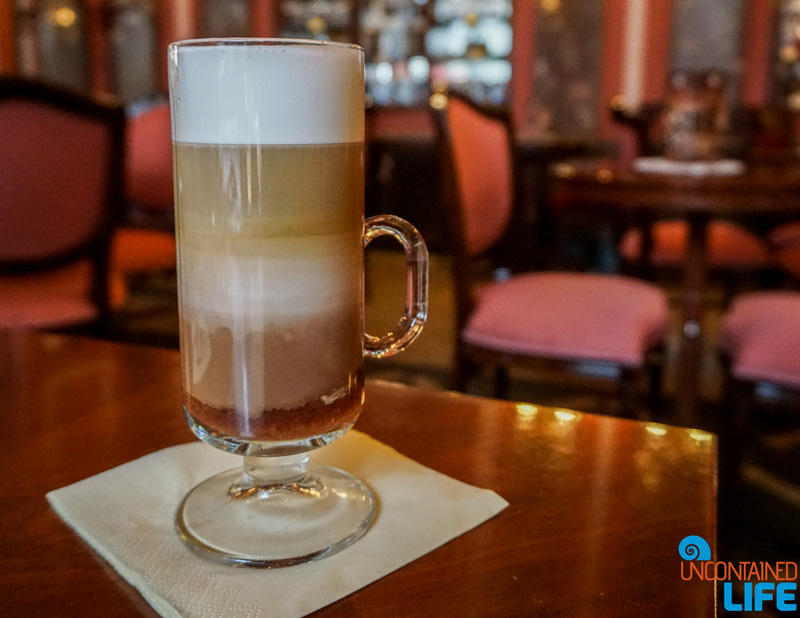 But those on the hunt for a more classic dining experience can will find plenty to tickle their taste-buds in Warsaw’s Old Town area. 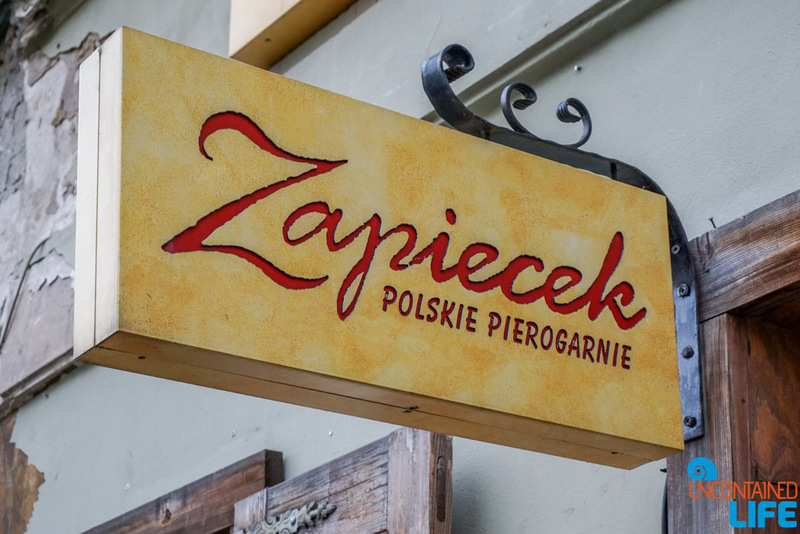 Justin’s and my Airbnb host in Warsaw recommended one particular branch of the local restaurant chain, Zapiecek, (Freta 1, 00-227 Warszawa, Poland) which, she promised, had one of the best chefs in the city. And while we don’t usually go for chain restaurants, we can’t deny she steered us very right. Great food at a moderate price? 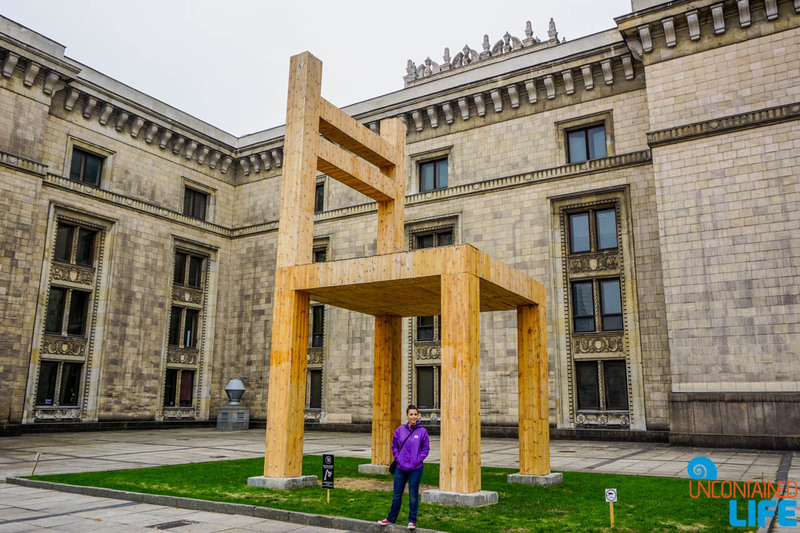 Definitely worth adding to your list of things to do in Warsaw! 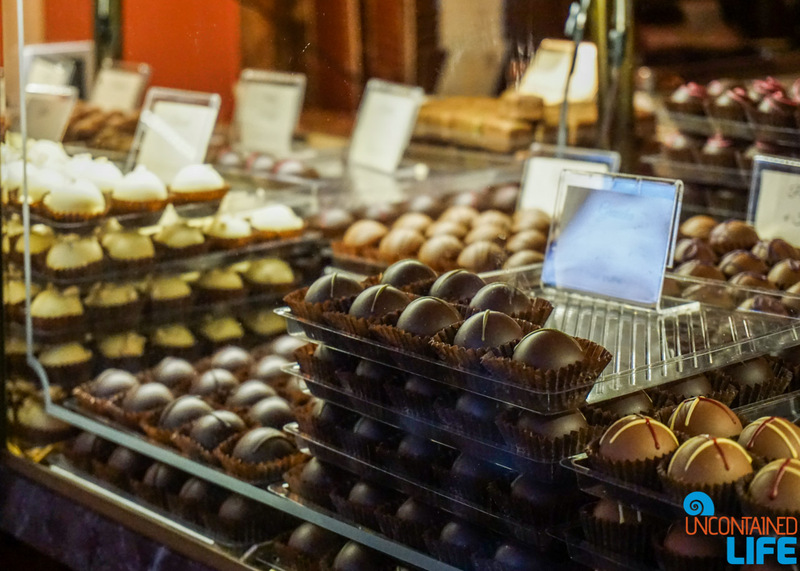 Want to experience Warsaw like a local? 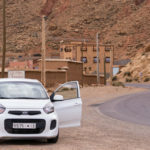 Book your accommodation with Airbnb — the best choice for travelers looking for unique, high-value accommodation. 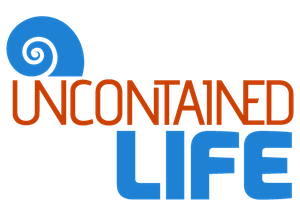 Click HERE to get $40 off your first Airbnb booking, compliments of Uncontained Life! 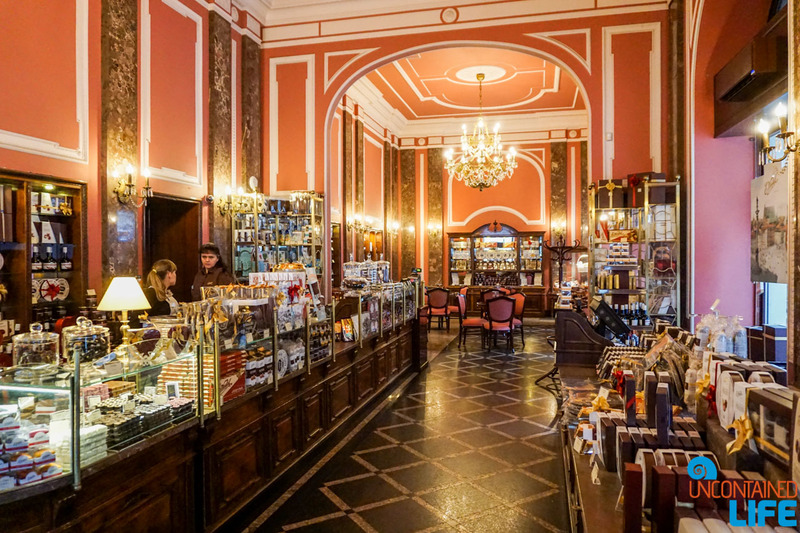 Speaking of delicious…no list of things to do in Warsaw would be complete without E. Wedel’s. 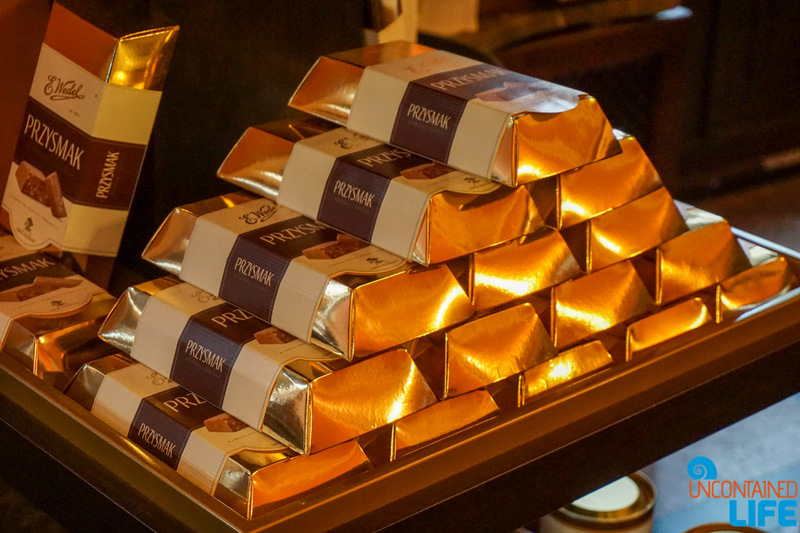 This historic chocolate shop and cafe first opened its doors in 1851, and, since that time, has become the gold standard of the Polish chocolate scene. you’re in for a memorable treat. 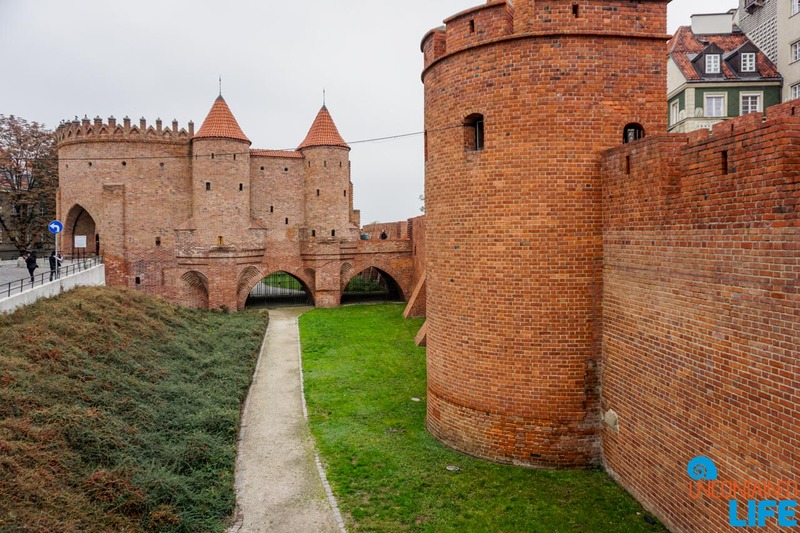 While Warsaw’s Old Town technically ends at the Royal Castle (Castle Square), the so-called Royal Route which runs from Old Town to the Castle in Wilanow is one of the most historic in the city. Another walk worth taking: along the Old City Wall, first constructed in the 13th century. Connected to the wall, is the 16th century Warsaw Barbican — a defensive fortress. 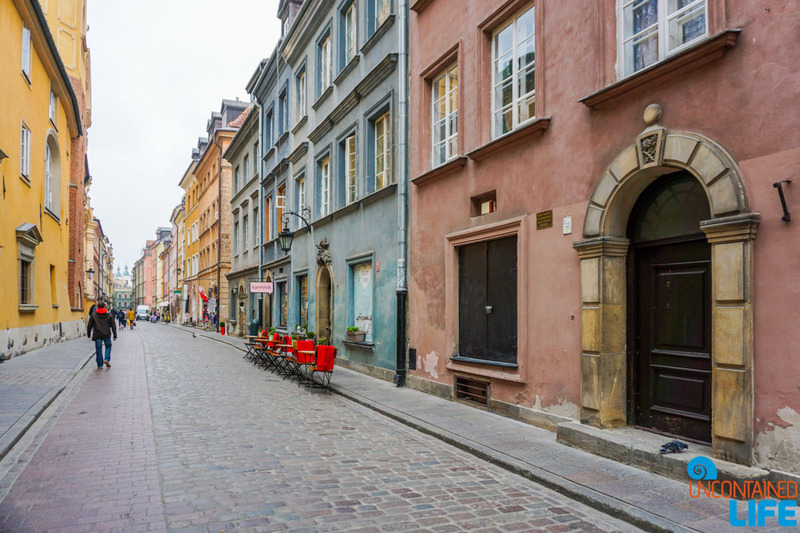 Of all the things to do in Warsaw, wandering Old Town is truly a special experience. 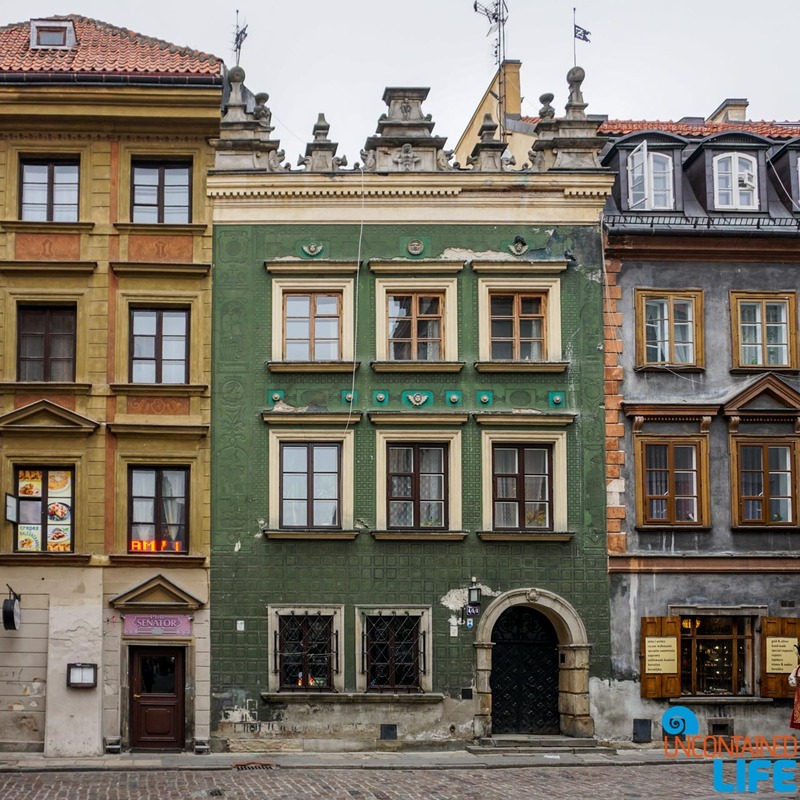 The city’s historic Stare Miasto (Old Town) is a fairytale-esque mixture of brightly-colored houses, cobbled streets, Baroque churches, and cosy shops. 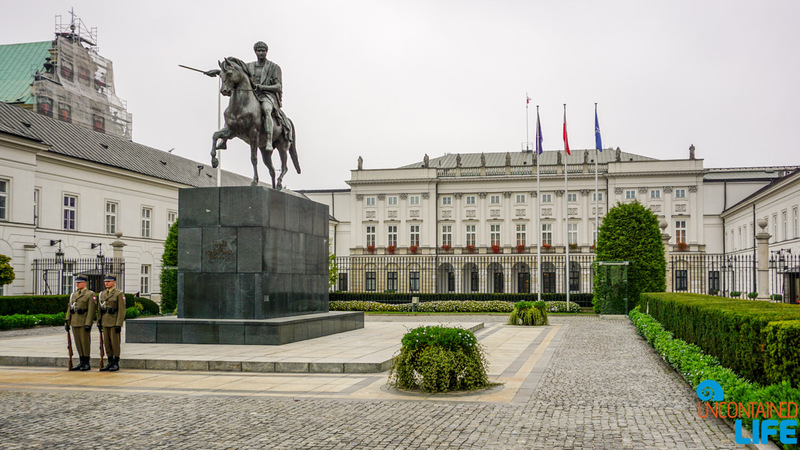 The magnificent courtyard outside the Royal Castle is overseen by a statue of Sigismund III Vasa, who moved the Polish capital to Warsaw from Krakow in 1596. 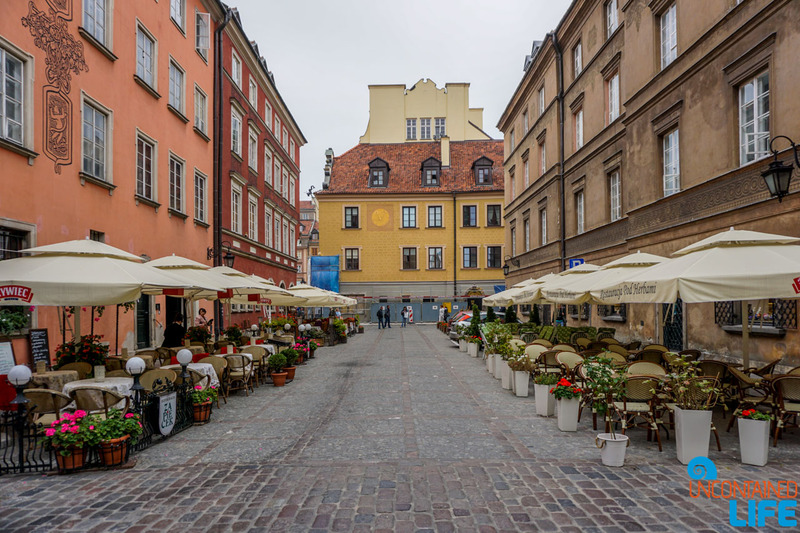 From this courtyard, you can admire the 15th century red-brick Zamek Królewski (Royal Castle), now fully restored from the bombing damage without (and Nazi art plundering within) which occurred during WWII. Another famous public space is, of course, the central marketplace, which dates back to the 13th century. 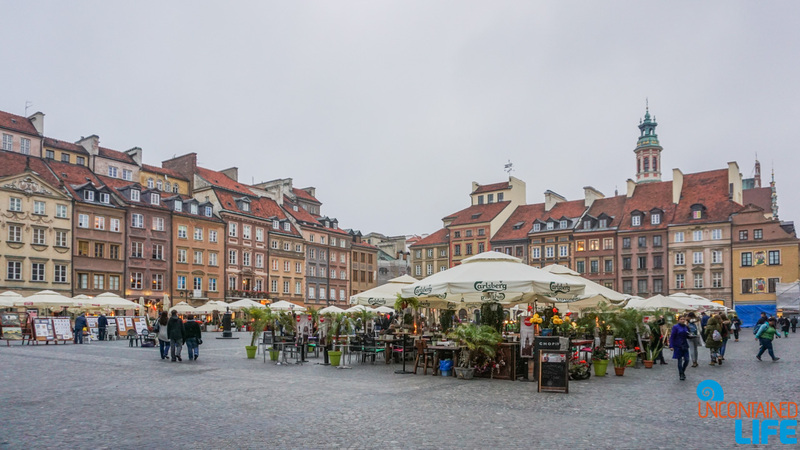 The square was all but obliterated during the Warsaw Uprising of 1944 — the doomed, but heroic effort to expel Nazi German forces from the city. 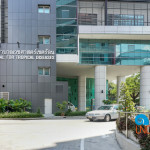 The Renaissance-style houses bordering the square were rebuilt with painstaking detail in the 1950’s. 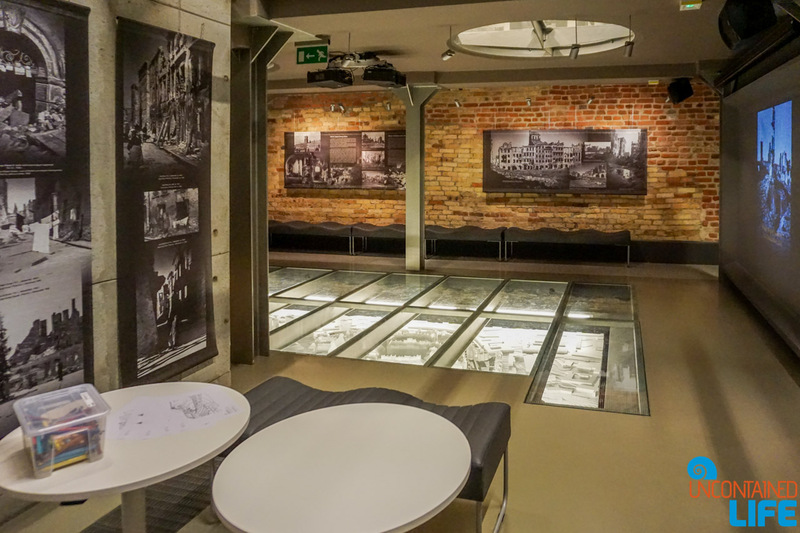 For those interested in learning more about Old Town’s history — particularly, the WWII period — the small, but dynamic Historical Museum of Warsaw is one of the best things to do in Warsaw. 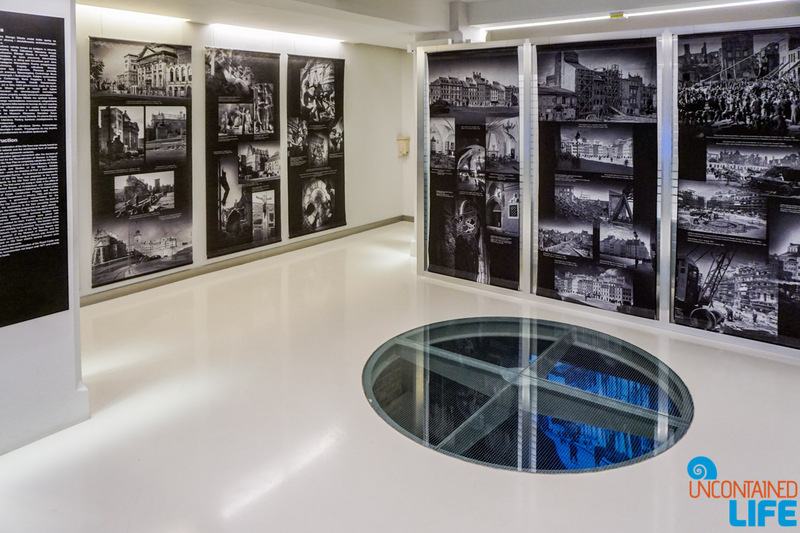 The museum is located inside several historic tenement houses in Old Town, and offers an array of rare artifacts from the WWII period and the 1944 uprising, augmented by moving audio-visual features. Justin and I stumbled upon this museum by accident toward the end of our explorations of Old Town, and felt extremely lucky that we did! 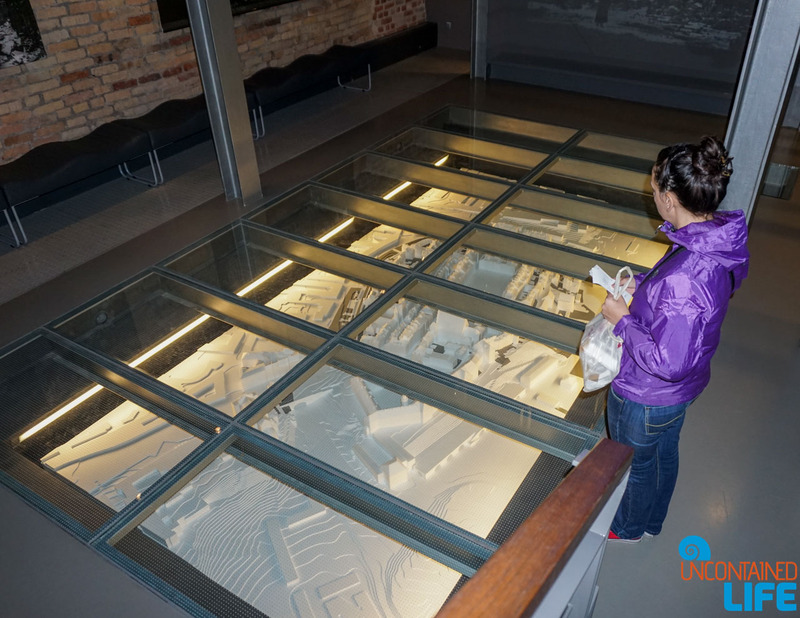 Bonus ideas for visitors looking to dig even deeper into Warsaw’s history: check out the POLIN Museum of the History of Polish Jews and the Warsaw Uprising Museum. 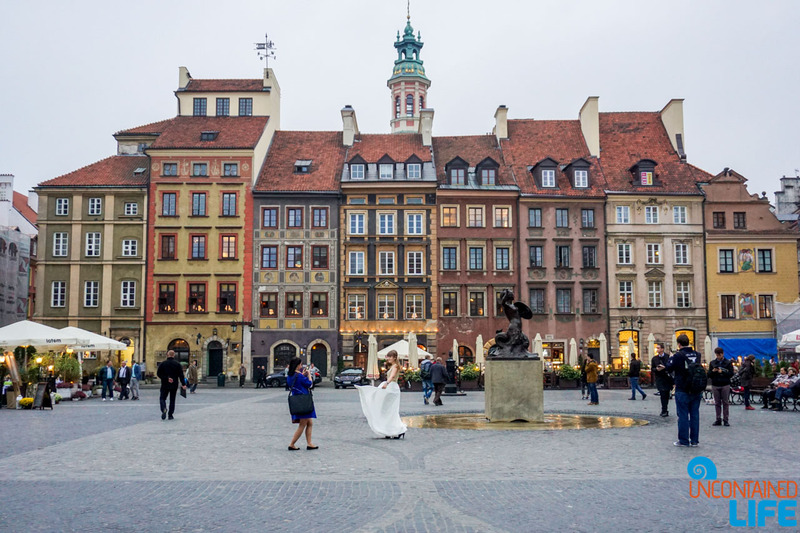 Have a favorite Warsaw site or experience to share? Sound off in the comments! You should visit a milk bar. And – May to Sept. piano concerts in Lazienki-Park – for free. 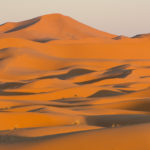 Love your post and photos! 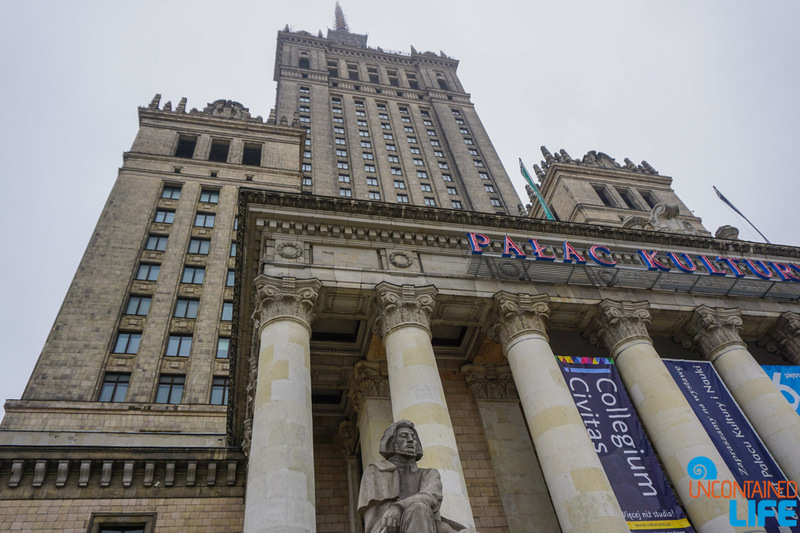 Honestly, I am not the biggest fan of the Palace of Culture and Science – it is definitely not my style, but it is true that there are tens of attractions inside. 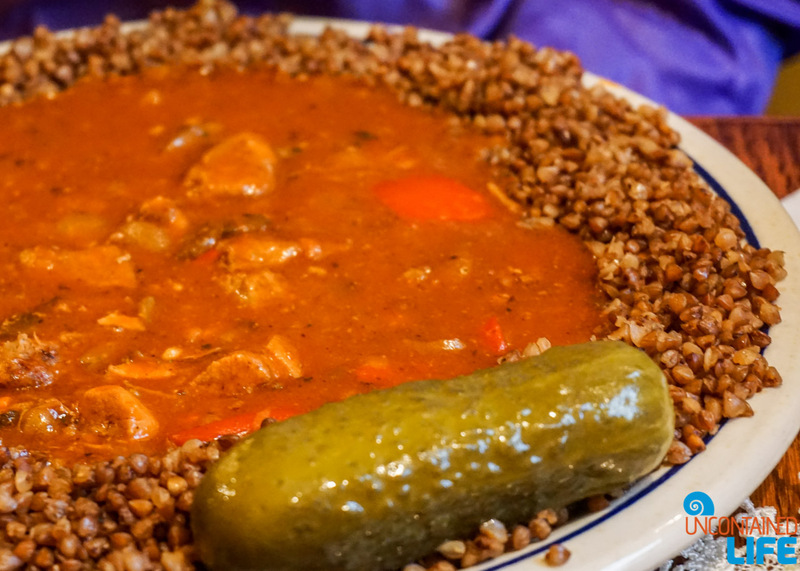 I am a huge fan of Polish cuisine, that is why when visiting Warsaw I always try to visit some local gastronomic spots, to try more traditional cuisine. 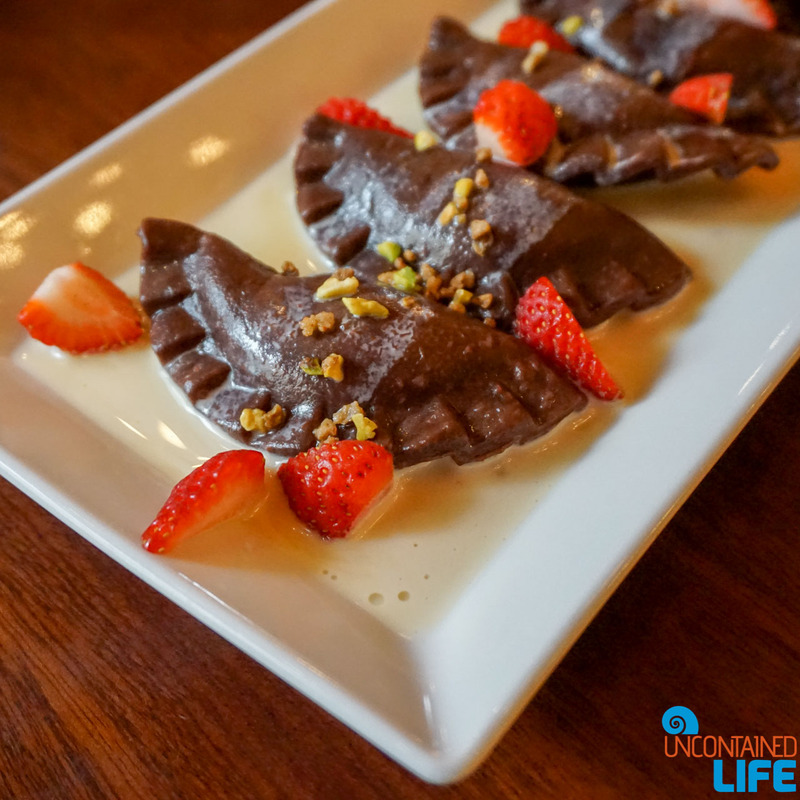 My favorite place in the capital to eat out is a restaurant in Mokotow called the Akademia. 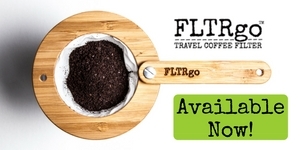 They serve traditional food, but with very modern approach. Everything there is really creative and so delicious! Can’t wait to visit Poland and Warsaw again!